RP Lighting + Fans is a commercial lighting supplier to electrical distributors and lighting showrooms throughout the United States and Canada. Contractors, homeowners, and end users are encouraged to contact us to find the nearest dealer in their respective areas. RP Lighting + Fans, formerly Royal Pacific, was established in 1990 and has rapidly grown to become a major supplier of products for electrical distributors and lighting showrooms. 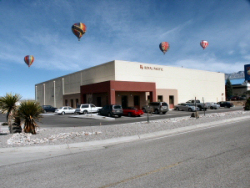 Located in Albuquerque, NM, our central office and warehouse enjoys year round good weather which facilitates unimpeded shipping, both in and out. 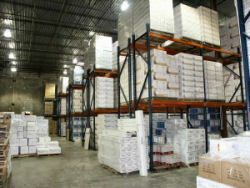 Supporting the Albuquerque operations center are several strategically placed warehouses throughout the country to ensure the quickest possible delivery of merchandise to our customers. RP Lighting + Fans frequently has opening for sales representatives in various areas.